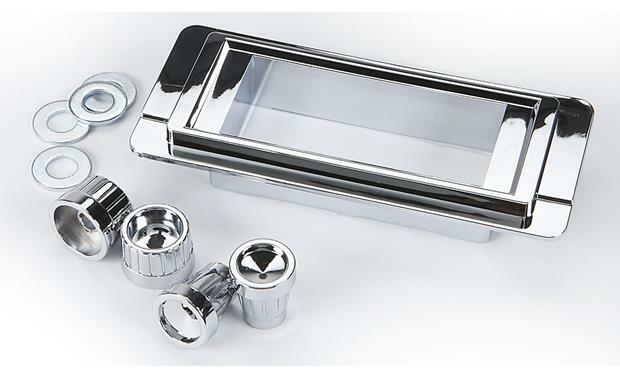 This kit lets you finish off your Retrosound radio with the faceplate and metal knobs that match the original trim of your classic car. Please call an Advisor at 1-888-955-6000 if you're unsure that this kit is compatible with your vehicle. Warranty: 1 year.